In Malaysia, there are lots of new mechanisms that being made by the government to optimize the potential and to generate and grow the nation’s economy. One of the mechanism is Rural Transformation Centre under National Blue Ocean Strategy that has been introduced to improve the quality of government services for the people with the cooperation between the government and non-government agencies. What is the Urban Transformation Centre? Urban transformation centre or UTC is the place to provide all main services from the government and private sector in one place. UTC also plays role as the stop centre for youth activities, NGOs activities and also a place for the entrepreneur community. Melaka become the first location for the UTC program and become the pioneer project because of the urbanization rate in Melaka is 86.5%, the fifth place after Kuala Lumpur, Putrajaya, Selangor and Pulau Pinang. Where this place is situated? UTC Melaka is situated in UTC building in Jalan Hang Tuah. It is open every day at 8.30am until 10pm. 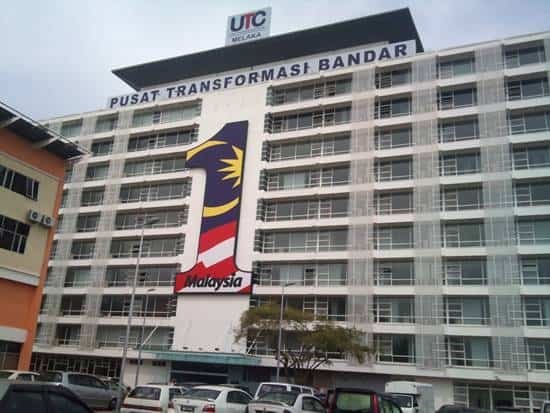 Besides the entire cluster mention above, UTC Melaka also provide services such as mini library, tuition center, cyber café, fitness centre and music studio. All the initiative is made to ensure the urban community can get all the service efficiently, fast, comfortable and easy in one building. It made it all easy because all the service can be made in one building. From this article is written, the UTC building was not officially launch yet. It had been plan to be officially launched in 23rd June 2012 by the Prime Minister of Malaysia. What is the importance of the Urban Transformation Centre to the nation? The Urban Transformation Centre is the complement towards the Community Transformation Program to ensure all the services, initiative and government program can get all the benefits to the maximum to the people. The Urban Transformation Centre can give benefits to the people around Melaka in terms of to deal with government and private agencies and also will increase the job opportunity among people around Melaka. With regards to the UTC I am very keen to know and patronize the Gym center, as such please provide me the details such as the fees and the November time table of UTC Health Center. Last sunday , I visited UTC Melaka for the first time. I paid my cukai pintu and taksiran tanah bills. Thank you for setting up the center and very impressed with the services given. I would be much appreciated if the authority would facilitate all payments be paid with credit cards.